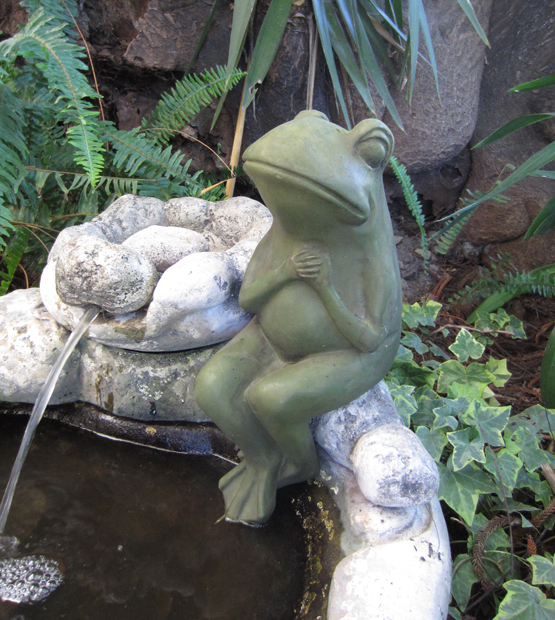 I would never kiss this frog because I like him just the way he is. Handsome frog measures 8" wide and 14" tall. Green Finish.